Cherry Pie? Yes, Oh My! It's really weird, because I won't eat cherry pie, but I love cherries. HaHaHa But I do love the look of cherry pie! 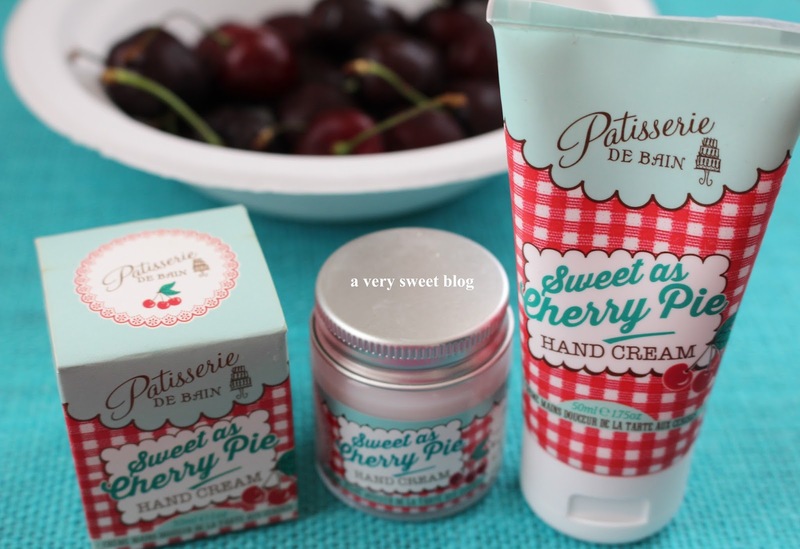 And I loved the look of Rose & Co.'s (UK) Cherry Pie Hand Cream under their Patisserie De Bain collection. Again, their hand creams are offered in both jar and tube. The picnic blanket, cherry themed packaging with blue & red trim was SO cute, I couldn't decide which one to get, so I purchased both. I love collecting cute packaging and knew this had to be part of my collection. It's formula to me is PURE BLACK CHERRY goodness! The website says red cherry & vanilla, but I say black cherry! The scent is SO AUTHENTIC! I've had cherry sodas and ice cream, but never a lotion! I think this scent is brilliant (genius in fact) and can see why it won awards in 2014. RUNNNNN and buy it. You will love it. Both the tube and jar were very moisturizing. 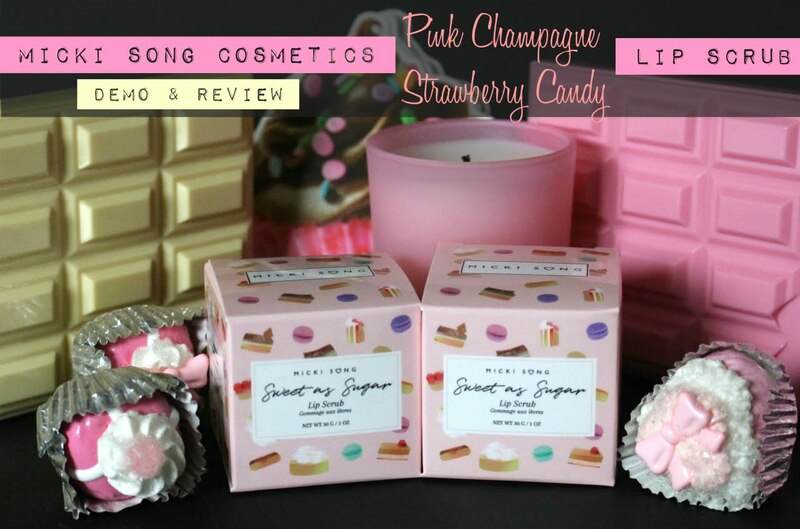 This scent is fruity, sweet and delicious! So VERY cherry! I've never seen this before!!!! You have been getting things with such oretty packaging!!! I've never seen these around here before but I do love the cutesy packaging. BTW I don't like cherry pie either. I don't like cherries cooked or baked period. I prefer them fresh, for me it tastes infinitely better. what adorable products, I had never seen these before! Hahaha, oh man, this made me chuckle outloud, because I just had some homemade cherry pie! Our trees are overflowing with them (currently fighting off the birds from eating them all). I love cherries and oh, my how cute is that packaging. I never heard of this brand. Will have a look in our pharmacies do they have it. 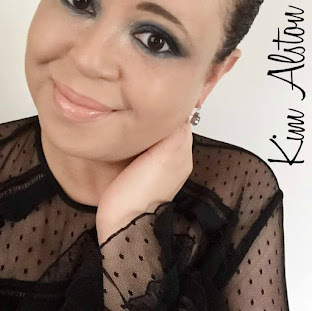 Omg this is too cute love the name and packaging a product to use now in this season great review Kim. I like how this company does the creams both in jars and tubes. Makes it so easy to carry it around:) And I'm not a big fan of cherry as a fruit, but I like it as a scent! TY for this series, Km. Ooh I want this! it looks fab and how cool that it smells awesome! I love anything cherry-flavored!! 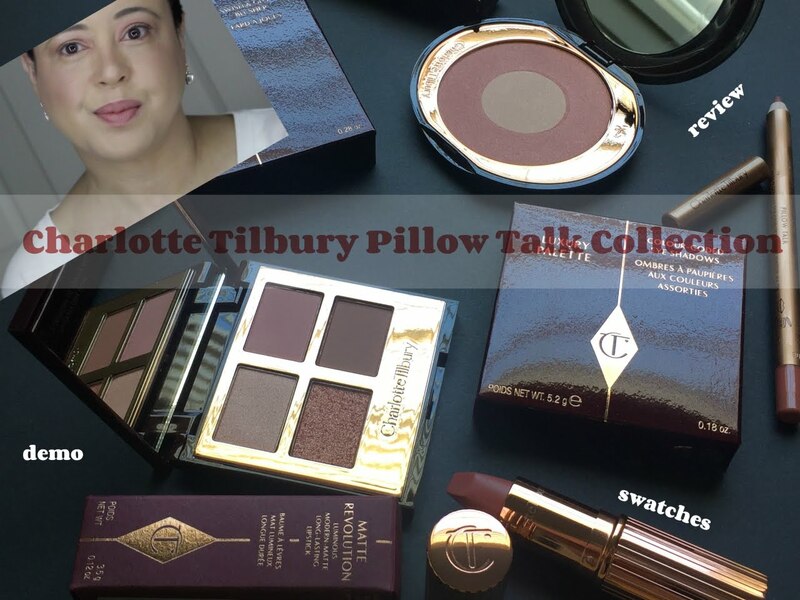 these products look great! Haaa! I knew you would make the last review on this brand awesome and I was right! I'll be adding this to my list of things to try from this brand however, I'll be picking up the one that's in the tube. I'm better with tubes than jars. LOL! Cute packaging! I love cherries and I love cherry flavored Italian Ices (lol) but I don't think I have ever had cherry pie before! Looks so yummy Kim. Love cherries too. This hand cream must smell so good too. Packaging is so cute. How do you find these brands ? What do you google ? you just come across really interesting and off the grid products ! Your posts are always the cutest! I love cherry anything and especially for summer! I have to try this! Thank you for sahring! This sounds fabulous! I'm like you. I like cherries but not really cherry pie. I can only imagine how great this must smell! The smell sounds amazing! It sounds like the product is too! Well you know me I am a sucker for packaging and this packaging is great, hmmm and now I have a pesky 80s hair band song stuck in my head I wonder what it could be. We are total cherry lovers so this sounds absolutely magnificent. The packaging really is too cute also, we can totally see why you'd want to snag it! Your photos are so cute! I loved your review, as well. I'm going to have to scoop up the jarred hand cream for my sister-in-law, she loves cherry scent! Hiking, this looks like a nice hand cream to try out. Thanks for the review on this. Sorry I tried to write the comment and had to do it again! LOl. Have a nice Friday and weekend. Kim, I'm totally the same way when it comes to cherry pie and I love cherries on their own. There is just something about the pie that is no where near as appealing but then I don't eat any fruit pies. I would be so down for this hand cream though. Everything about it sounds wonderful especially the scent. I have to agree with you, Kim! The packaging is just too cute. And they are award winners! Just wow! with your description i can almost smell it! I love cherry scent so I think I will like this product too! OMG Kim! This sounds so perfect for summer! Michigan has a cherry festival each year, too! Mmmmm I love all pies! Too bad you don't like cherry pies Kim, I think they're pretty good, but of course not as delicious as apple pies. I haven't heard of this brand, but from your description it looks fantastic. Yes, I met Rebecca Minkoff a couple of months ago. She's fairly nice, but of course we didn't talk much. Lol. And I'm glad you read the review of the Luna on Rowena's blog. She wrote a great post on it. Have a great weekend girlfriend! The packing is adorable with the red gingham! I love cherries but I'm allergic to them so this would be the next best thing! How cute is that packaging!!! I love cherries too, but not a fan of pie. these sound amazing Kim! Kim you seriously display some of the cutest packaged items! 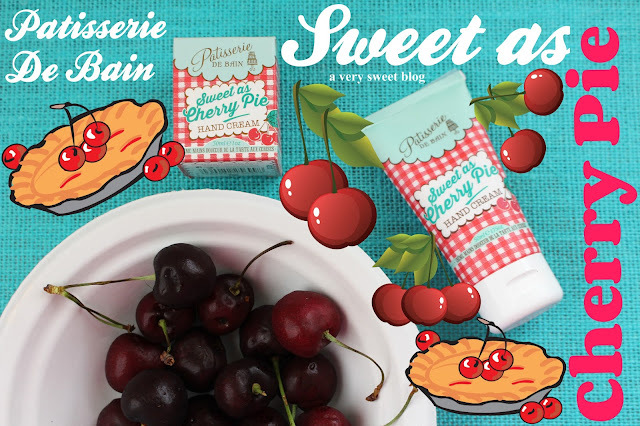 I'm not a fan of cherry pie, but the products sound great! This cream should smell delicious and the design is so cute! same here...love fresh cherries, but don't eat the pie! adorable packaging on these; i think i'd go for the jar! Me too, I'm not that crazy about cherry pie, but I love cherries. The packaging is so cute and good to know that it's great too!